Sweet cart hire is available for any event from Candy Occasions whether it be for weddings, birthdays, kid's parties, corporate hire, or any other occasion Candy Occasions sweet cart will add a perfect touch. We now offer the hire of our giant 4ft illuminated love letters that sets the perfect scene for your wedding. The love letters are made to a high standard out of wood and professionally sprayed with 2 coats of high quality bridal veil white paint. They include battery operated fairground lights so no loose wires or restrictions to be near a power supply. We are based in Reading servicing a 30 mile radius which covers Berkshire and surrounding areas - we are happy to hire our cart and lover letters further afield if possible so please get in touch for prices and availability. When starting the business we wanted to make sure we offered a sweet cart that we ourselves would be proud to have at our wedding for our guests to use and admire, so we took time to find a cart design that we and our customers would be proud of. We chose a very traditional looking Victorian style sweet cart that was hand made to a high standard and with the antique white finish we believe it looks perfect for all occasions. The cart can be dressed in various ways from a very simplistic look to a colour theme when used for weddings - bridesmaid colours is always popular. The cart can be hired for all sorts of occasions like kids parties and again we can theme it as requested with such items as football buntings as another example. We have also been asked to provide the cart with colour co-ordinated sweets which always provides a stunning look to the cart. Now we have added the light up giant love letters to our package they compliment the cart perfectly or look great on their own. 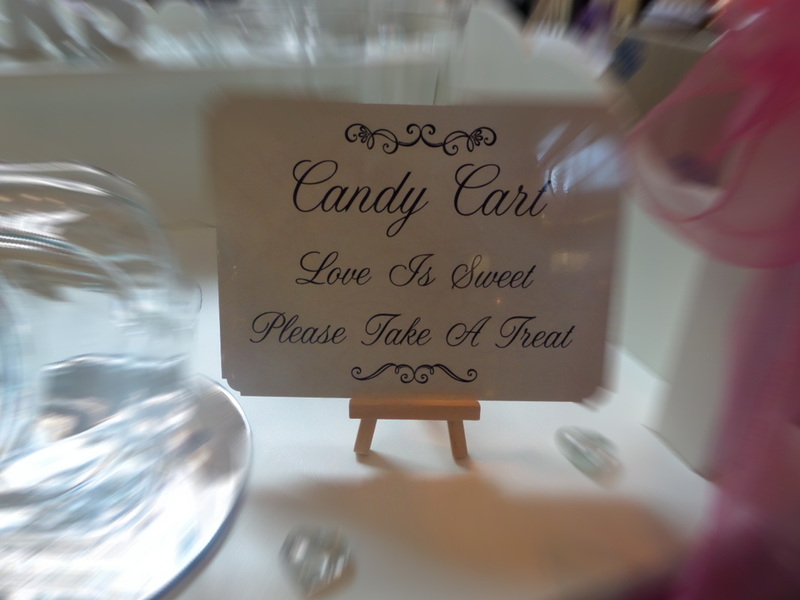 When hiring our sweet cart or giant love letters we will arrive at an agreed time to set up the cart ready for your guests to enjoy. We can then either collect the cart at an agreed time or the following day - we always ask you to check with your venue if they are happy for the cart to stay overnight. We provide sealed bags so you can take away any sweets that are left over and if we are collecting before the party ends we will do this for you. As you can imagine there is an endless choice of sweets to choose from and every ones tastes are different. To help you with this fun dilemma we will provide you with an extensive list that we have categorised to help simplify the huge choice there is. 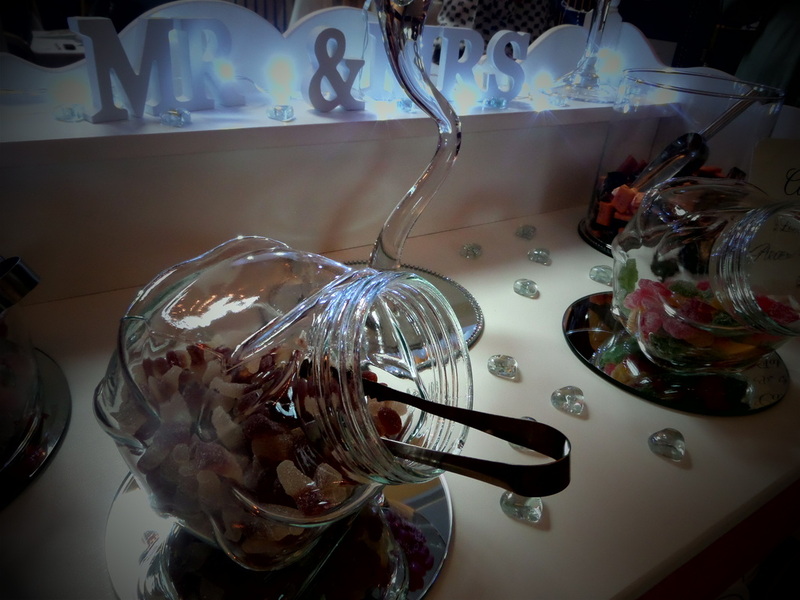 A wedding sweet cart was the original idea behind Candy Occasions Sweet Cart Hire, however as time goes on we are asked more and more to attend various types of occasions and events so no matter what your occasion is please get in touch to add candy to your occasion. We have been asked many times to supply wedding favours too which made perfect sense as we always have a constant supply of sweets so if you'd like some help with the favours for your day please get in touch.